Cut sugar cane in Paraguay. Sugar commodity prices have continued to fall and are now trading at their lowest level for 17 months, but the markets have now recognised this trend is at an end. Three years of falling prices have resulted in factory closures around the world. When prices rose between 2009 and 2011 the grower benefited, leaving the mills facing higher production costs and falling revenues. Now that supply and consumption are balanced prices cannot remain below production costs as this will discourage re-investment and result in risking a sustainable supply. The overall global sugar production surplus for 2013/14 has risen to 4.65 mln tonnes as a result of improved Brazilian production figures. Looking forward to 2014/15 harvests indicates a small surplus estimated at 1.95 mln tonnes. The beet crop has recovered from the slow start to the year and harvesting will continue until January 2014 due to excessive rainfall mid-October in France. Sugar production will reach 16.4 mln tonnes of which 3.6 mln tonnes is over quota. Russian beet harvest is nearly complete with sugar production down on last year at 4.3 mln tonnes. Ukraine’s production is looking like half the amount produced in recent years at 1.3 mln tonnes. Due to rains from May to July harvesting is still in full swing at what is now the tail end of the crop season. The forecast for the 2012/13 crop remains at 585 mln tonnes, producing 34 mln tonnes of sugar, production to mid-November was 31.5 mln tonnes of sugar. In November the Brazilian government raised gasoline prices by 4%, making hydrous ethanol attractive to cane millers which could see a diversion away from sugar at the start of the 2014/15 season in April 2014. A fire at Copersucar’s port terminal in October destroyed 200,000 tonnes of sugar and will be out of action for six months which could impact on 2014/15 exports. Heavy rains from cyclone Haiyan has meant that harvesting of the 2012/13 crop has only just begun. The extra rainfall, growing time and an increase in planted area should result in higher tonnages later in the season. The forecast for the 2012/13 crop is 110 mln tonnes producing 11 mln tonnes of sugar. A delay of several weeks of harvesting due to disagreements between mills, government and farmers over 2013/14 cane prices is expected to increase yields in Maharashtra. However in Uttar Pradesh the mills will struggle to recoup the cane that farmers sold to jaggery producers in November. With stocks of over 8 mln tonnes of sugar, and the devaluation of the Rupee, the mills will be under pressure to export around 2.5 mln tonnes onto the world market. Mills began crushing later than predicted due to cane price arbitrations. Current estimates for the crop are 5.0 mln tonnes of sugar, slightly up on last read more here season’s 4.8 mln tonnes. Mills will be under pressure to export on the world market around 1.2 mln tonnes to avoid reducing domestic prices and mounting cane arrears. Dry weather since June has seen reduce sucrose yields; continued arid conditions have seen mills ending crushing early, with sugar production for 2013/14 estimated at 4.25 mln tonnes. Rain will be vital to ensure that the 2014/15 crops benefits from the longer growing period. 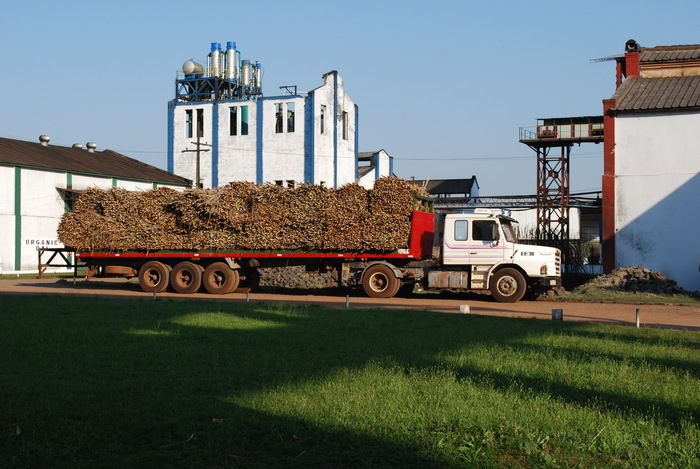 The supply surplus from 2012/13 has seen this sugar re-exported or sold for ethanol production. Mexico also exported sugar on the world market that was destined for the US. For 2013/14 mills in Mexico have agreed to sell 650,000 tonnes onto the world market that was destined for the US. Excess supply continues to depress domestic prices in the US. Estimates for the 2013/14 crop in Mexico are 6.7 mln tonnes of sugar compared to 7 mln tonnes in 2012/13. Rains at the start of the harvest delayed crushing by three weeks. With a 2.5 mln tonnes surplus, mills will be under pressure to export on the world market. Production of the 2012/13 crop finished at 13.0 mln tonnes, up 1.55 mln tonnes on the previous season. Cane sugar production accounted for 11.98 mln tonnes and beet sugar 1.08 mln tonnes. Interestingly sugar consumption totalled 13.9 mln tonnes, an increase of 4.5%. Raw sugar import will be around 1.95 mln tonnes. The International Sugarmark has moved into the 21st century. It has been relaunched in the UK with a face lift. Ragus Sugars has been the initial drivers with the mark appearing on their web site, publicity material and packaging. The concept of the mark was developed by the Comité Européen des Fabricants de Sucre (CEFS) in the 1970s – a body representing major sugar producing countries and manufacturers worldwide. They devised a Sugarmark Design Competition open to professional and student designers in each of their member countries. The primary aim of the mark was for use on sugar packaging to underline that products carrying the logo were pure and organic. The CEFS rational was to combat the arrival of artificial sweeteners claiming to be more healthy – claims which have since proven unfounded. The winner of the competition was UK designer Roger Simmons. Roger was then commissioned to produce the launch material and to support the usage of the mark worldwide. The Sugarmark continues to be used in 22 countries but with the passage of time it suffered some wear and tear. The original Sugarmark design was based on a heaped spoonful of sugar – it was startlingly attractive. The simplicity of the design, its pure and unbroken lines has made it a world class piece of design, both memorable and eye catching. Time has moved on and new medias and opportunities have developed. Given the proliferation of other logos and marks in today’s more aggressive world, Ben Eastick of Ragus contacted Roger Simmons to re-look at strengthening the mark and again exploit its positive qualities. Cleverly and without changing the mark in any way Roger introduced the pyramid ‘of sugar’ behind the existing mark. This enhances and reflects the pure shapes of the original design making it again fit for purpose. The future of the Sugarmark has seen it reappear on Ragus products guaranteeing purity of their content. Ragus has also agreed to reinforce the marks usage across all its media material. The future is exciting with massive opportunities for the mark’s extended use on sugar derived products such as sugar derived ethanol or green petrols. You are currently browsing the Ragus blog archives for January, 2013.